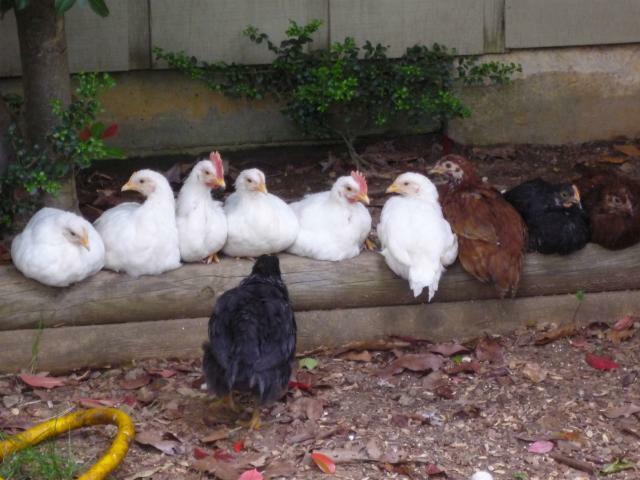 Ten little chickens that I got on a whim...the six white ones are from Tractor Supply and the four brown and black ones are from a local flea market. I don't know what the white ones are, or the black ones, but the reds are RIR. 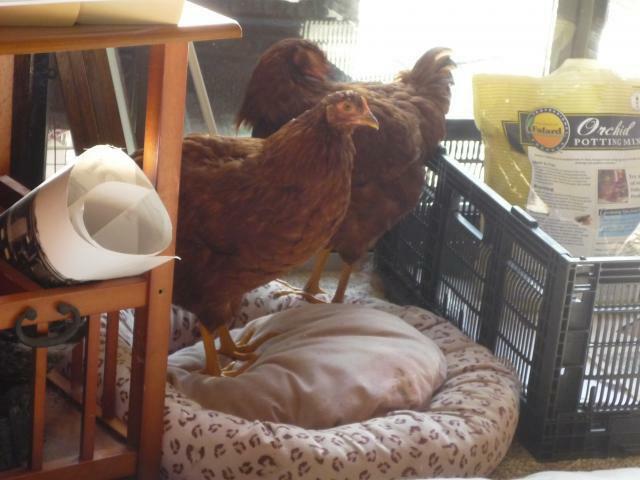 They are the funniest of the chickens... more pets than anything else. 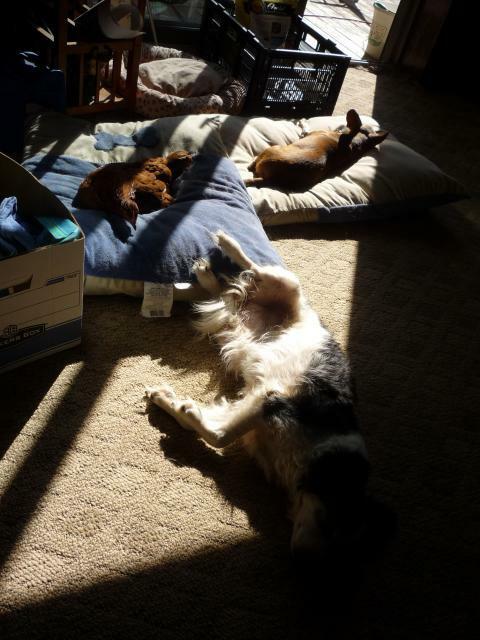 They are in the house all of the time, sleep on the dog beds, beg for treats. 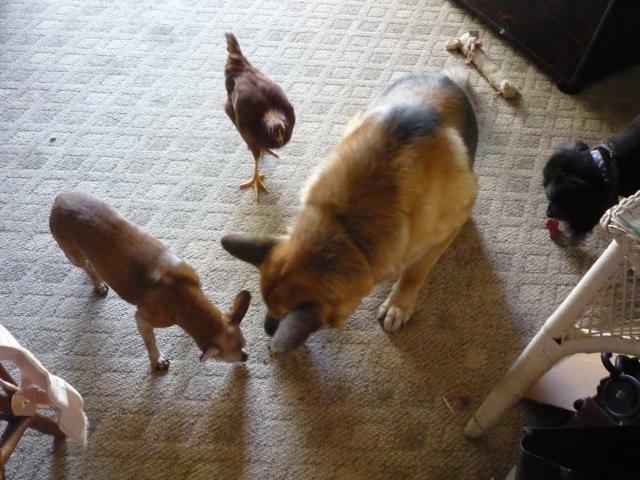 They have a portable pvc pen and run, so that no one spot in the yard gets the full chicken treatment. 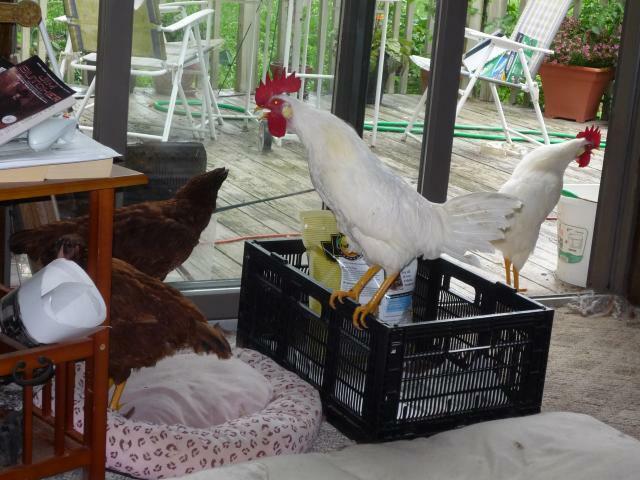 I have two roosters...one named Leroy, and one unnamed boy. Leroy is full of himself, has his own silver leg cuff, and tortures the cat. 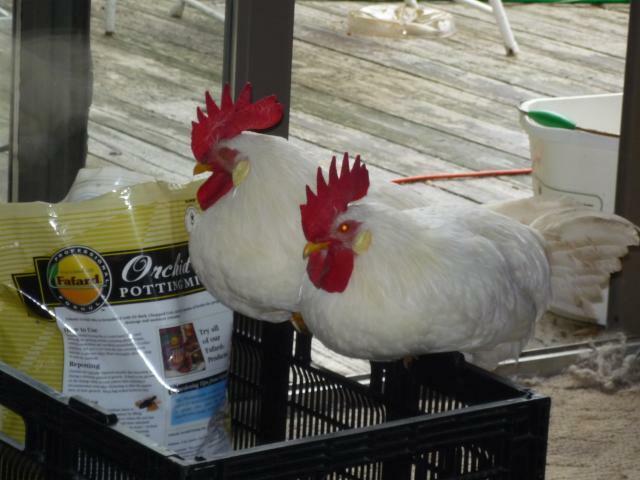 He considers himself the main man of the two RIR's...they all sleep on the porch in and on a nesting box. 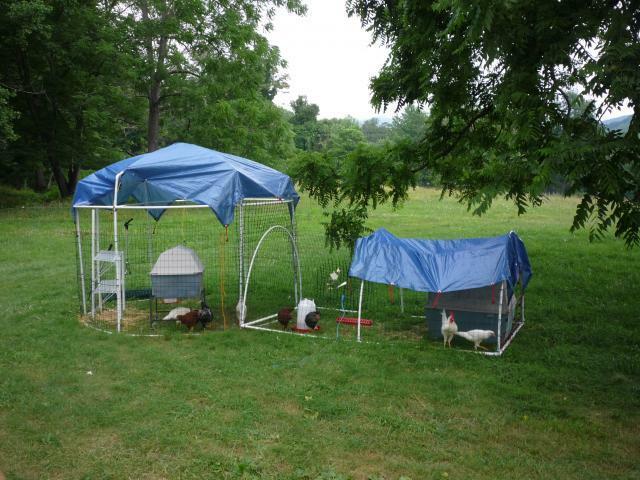 The rest of the chickens live in the pvc structure.